Includes Link EZ2 portable device and two non-electronic reflective pens. 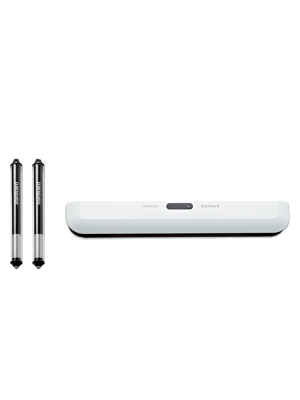 Hitachi Starboard LINK EZ2 Interactive system Unit allows you to turn any standard dry erase board or wall into a fully functioning interactive whiteboard. It magnetically attaches to a regular dry erase board in just a few minutes and transforms any projected image into an interactive area of as small as 45" to as large as 90". The system is compatible with any LCD projector, whiteboard, and computer. 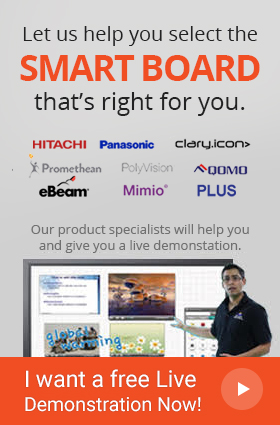 All you have to do is mount LINK EZ2 Interactive Unit to a flat surface or a board, connect with a computer, connect the computer to a projector and you are good to go with an interactive area having all the features of an interactive whiteboard. One great advantage of using Hitachi Starboard LINK EZ2 interactive unit is the multitouch gestures that it offers. Now you can take complete charge of your presentations and lectures by scrolling the interactive area using your fist and erase or zoom in and out with two fingers simultaneously. This Hitachi interactive unit also allows at least three users to collaborate on the board at the same time maximizing student engagement to a large extent. Hitachi Starboard LINK EZ2 supports multiple software features like Google image integration, customizable interface, customizable search engines and handwriting recognition, hence offering unprecedented performance in meeting rooms, conference halls, and classrooms. There is no doubt about the fact that Hitachi Starboard LINK EZ2 is one intuitive user interface that stimulates all the senses of a learner. It is a great interactive unit for education as learners will feel more excited and involved when taught in an interactive environment as compared to traditional book studying sessions. Hitachi Starboard LINK EZ2 can be easily installed by just magnetically attaching the device to any flat surface to provide the users with a brilliant interactive system. Moreover, it even comes together with 4 rails and 1 sensor for user convenience during setup. Hitachi Starboard LINK EZ2 Interactive system can support both touch commands and the use of a Stylus or any other object the user is comfortable with to operate the system. Two non-electronic reflective pens, as well as a Link EZ2 portable device, come included within the package. 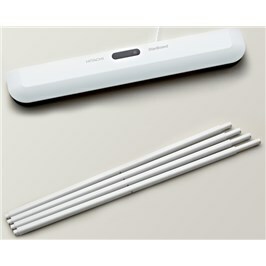 Hitachi Starboard LINK EZ2 Interactive system comes equipped with an expandable active area of 90” diagonal! Not only that, the device can support multiple users and even has handwriting-recognition software integrated within its system. Display Color Depth: 16bit or more. Q: How does the Starboard LINK EZ-2 Interactive System work? A: The Starboard Interactive system attaches with any simple whiteboard in a classroom and turns it into an interactive whiteboard. Q: How can I set up the LINK EZ2 Interactive System? A: To set up the Starboard Interactive System, the user needs to mount the device on the top of the classroom’s whiteboard. Q: Do I need to install any special hardware or software for this Interactive System? A: No, the Starboard LINK EZ2 Interactive System comes preinstalled with all the necessary drivers and software. It is compatible with all the contemporary operating systems such as Windows, Mac, Linux, etc. Q: What is the difference between this LINK EZ2 Interactive System and Starboard EZ2-Pen Interactive System? A: The Starboard Link EZ2 Interactive System accepts input from Stylus, Pens, and Fingers, while the Starboard EZ2-Pen Interactive System only recognizes input from a Stylus. A: Yes, the Interactive System comes with a warranty valid for 3 – year from the date of purchase.